This week, in the face of a historic assault on ballot access that some say could prevent as many as 5 million Americans from casting their votes in the next election, the NAACP launched This Is My Vote! — a national voter education and registration drive. It's a 50-state campaign to register, educate and turn out voters in 2012 and is especially focused on minorities, the young and the elderly. Are all the new voting restrictions to which the campaign is responding really designed to keep those who would re-elect President Obama away from the polls? NAACP President and CEO Benjamin Jealous told The Root that while the This Is My Vote campaign is nonpartisan, "we are fighting proponents of voter suppression who are absolutely partisan." For supporters of the restrictions, he says, "Suppressing the black vote is collateral damage." Jealous said there's been great progress made in the past year when it comes to getting the public to understand the nature and the gravity of the current attack on voting rights. In his words, concern about the issue is "out of the suites and into the streets." Some of that has had to do with making the issue compelling and meaningful. For Jealous and the NAACP, that means "helping people understand what their vote gets them, and what it means to insert themselves into democracy." There's even a link to something that was a more natural attention grabber: the Trayvon Martin case. "If you vote, you can pick the sheriff, the mayor who hires the police chief," he explains, acknowledging that "pretending like the act of voting in itself will solve everything — people won't buy that." Laws passed in Florida and Texas restricting voter registration drives. Limitations in Florida, Maine, Ohio and Wisconsin on when and where people can register to vote. Laws in Florida, Georgia, Ohio, Tennessee and West Virginia reduce the window for early voting. Florida and Iowa have reversed earlier decisions that made it easier for people with felony convictions to restore their voting rights. The decision affects hundreds of thousands of voters. In 2011, at least 34 states introduced voter suppression legislation, with laws passing in 14 of those states, and laws pending in 8. 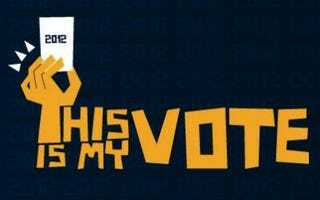 Read more about This Is My Vote at the NAACP.